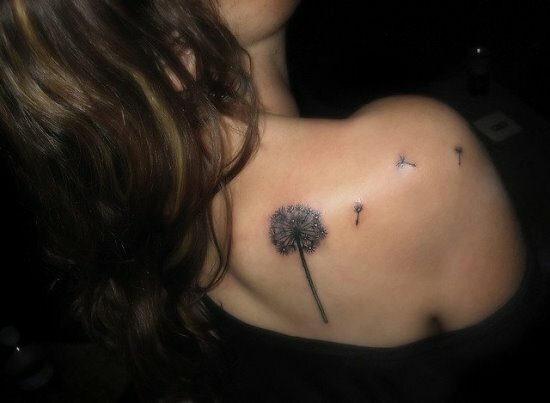 Dandelion is a flower of the wilderness that is practically colorless and lacks any kind of visual appeal. 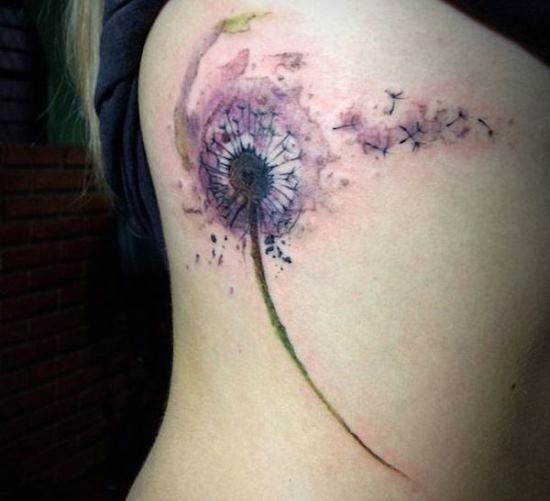 Whatever beauty aspect this wild flower lacks otherwise is compensated by its complex geometric structure. 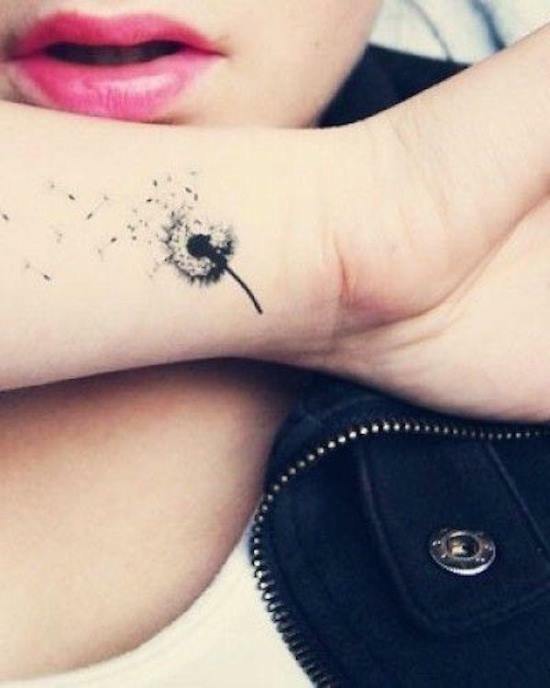 It’s plain and unattractive appearance has a lot of appeal for nearly everyone who have held a dandelion flower in their hands. The simplicity of this flower exudes quite a positive influence over people, especially young kids who close their eyes to the flower, make a wish, and blow away the delicate seeds. 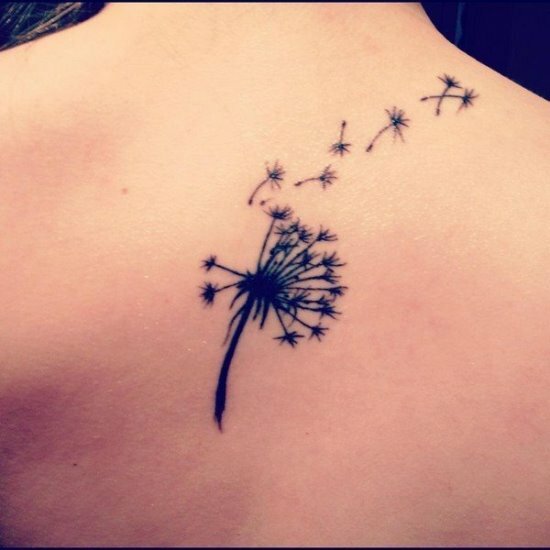 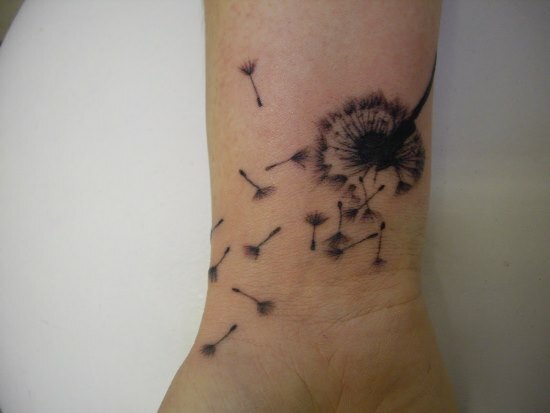 A dandelion tattoo often stands as a reminder of those carefree childhood and youthful days. 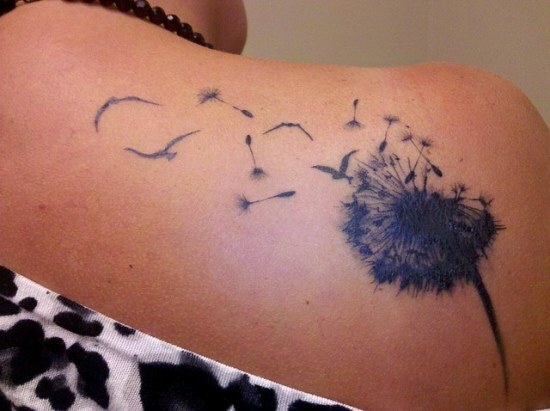 This tattoo is mostly worn by women and some men too. 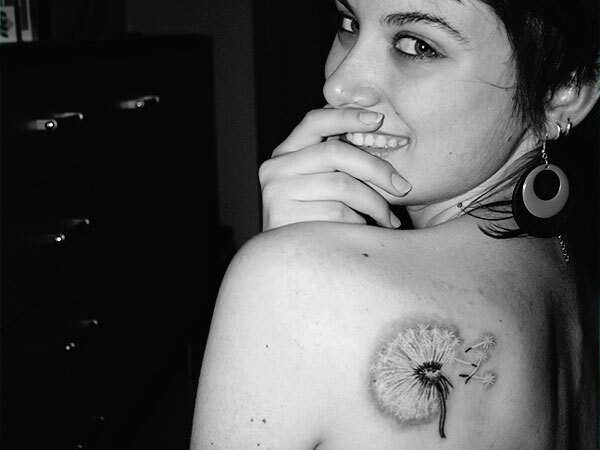 Dandelion was used by the people who came over to America from England as a health drink and as a healthy food item as well. 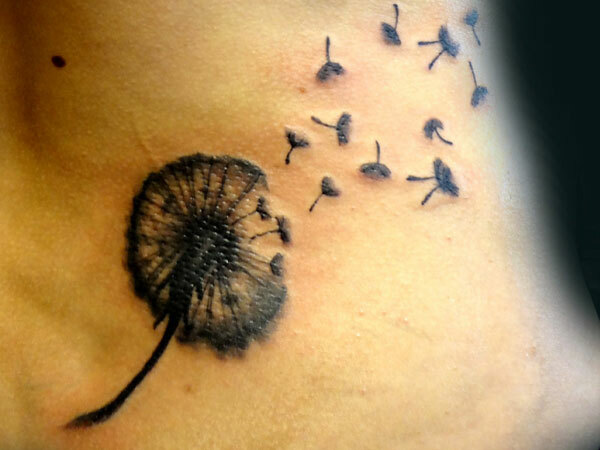 It is said to be a store of proteins, minerals, and vitamins, making it quite a useful item. 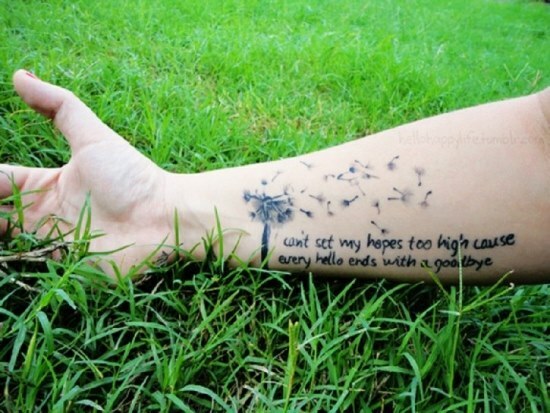 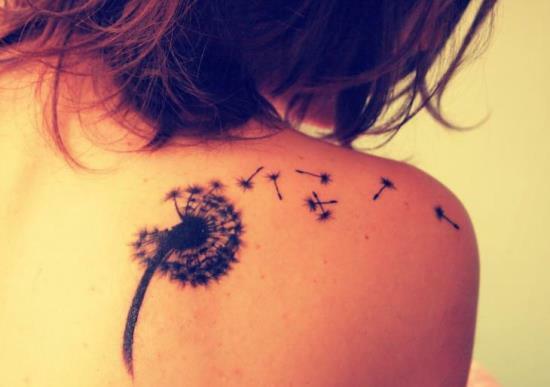 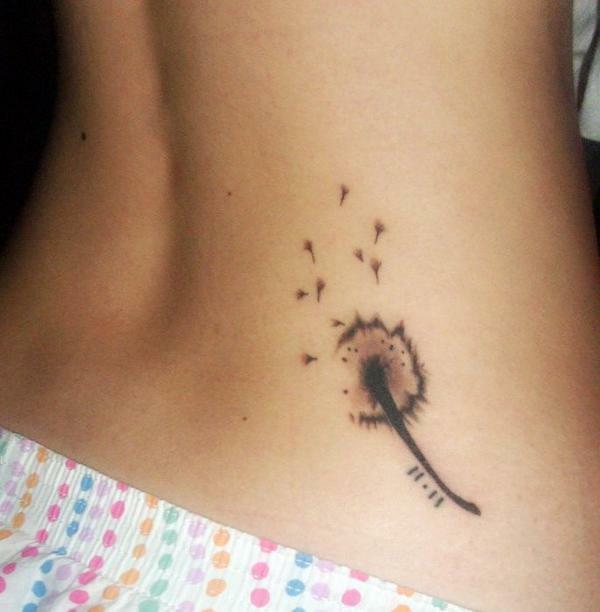 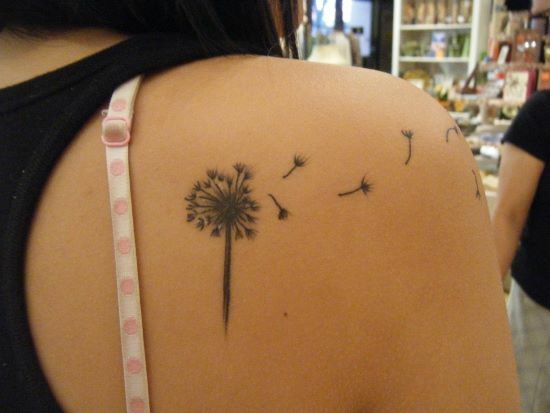 Dandelion tattoo is often worn by people to indicate fulfillment of their dreams and wishes. 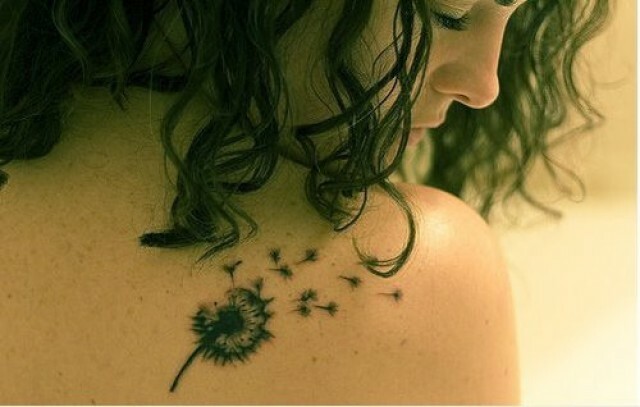 It is also often used as a means to represent the fact that life is tenacious yet delicate in one single package. 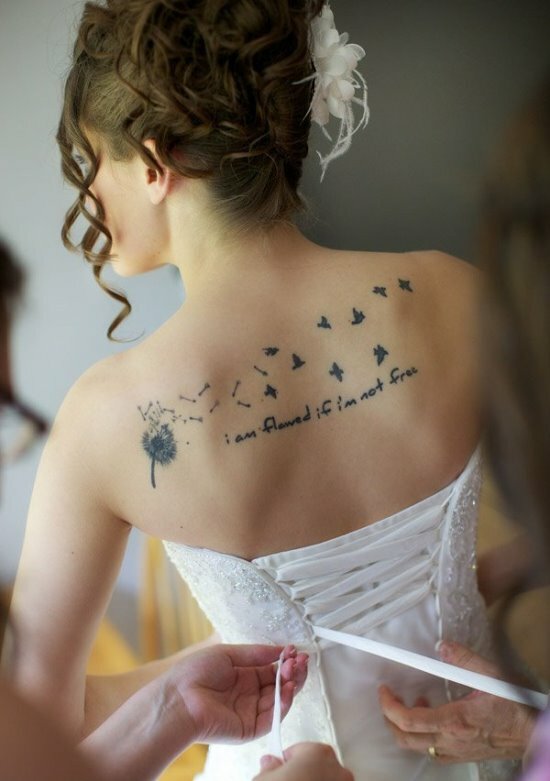 The tattoo symbolizes this fact of life and in adherence to the message that this fact delivers that you should live life to the fullest, making every moment the best. 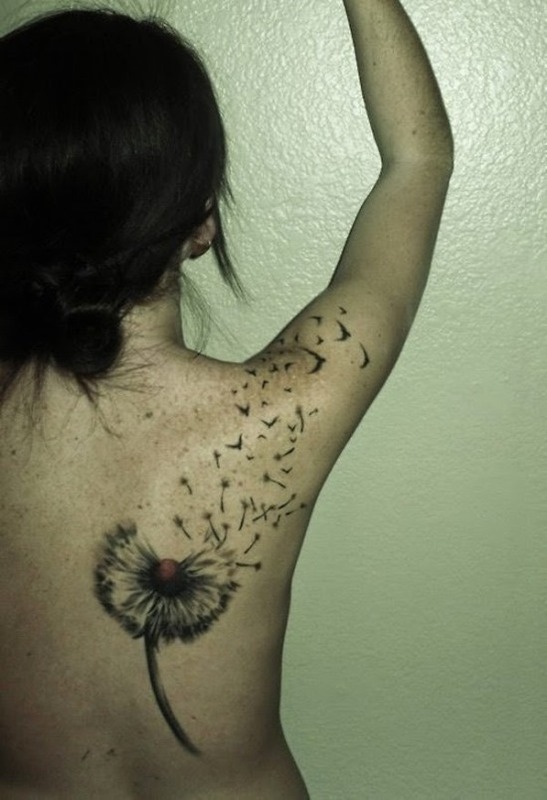 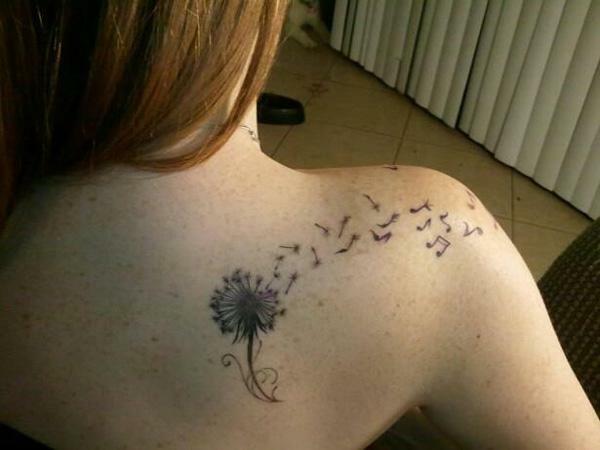 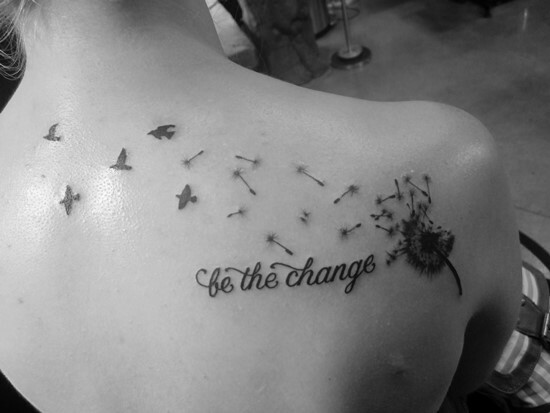 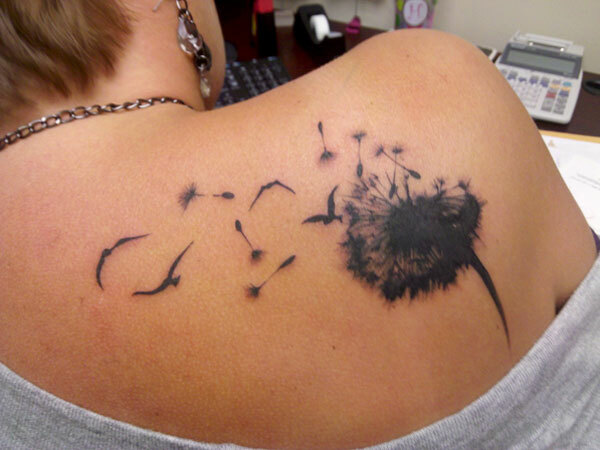 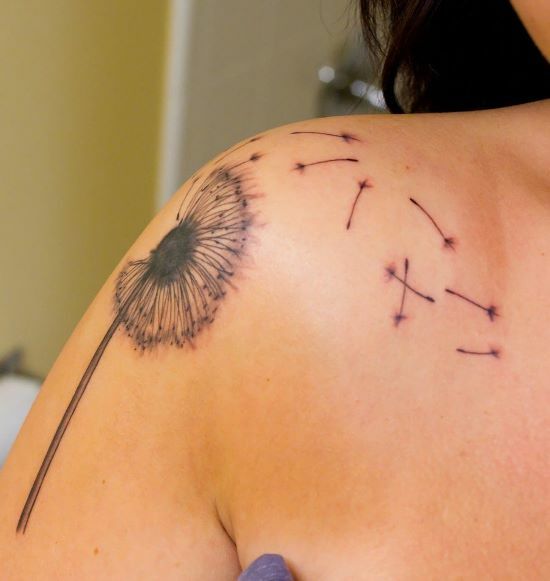 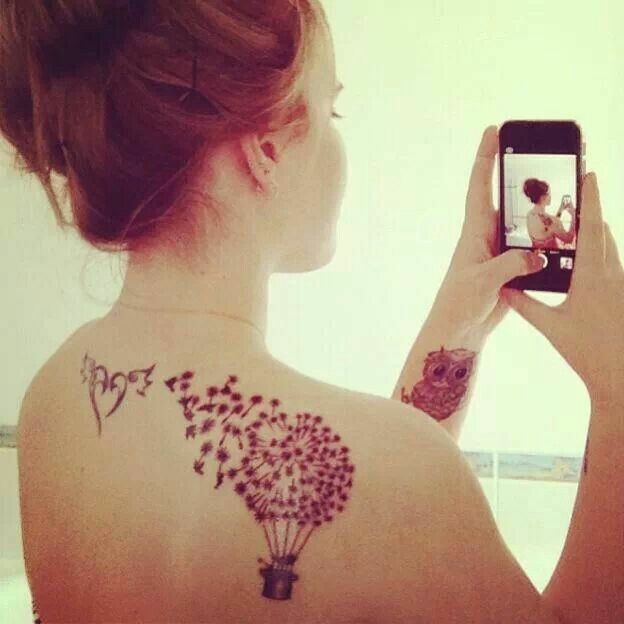 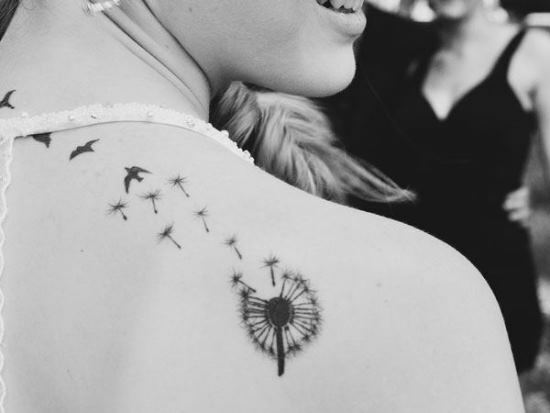 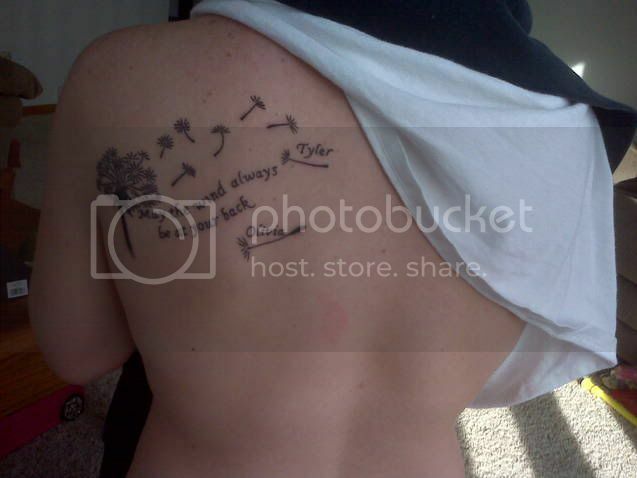 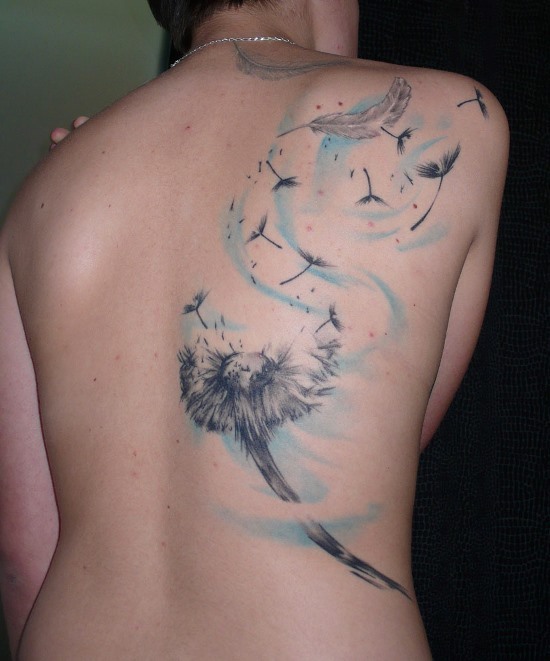 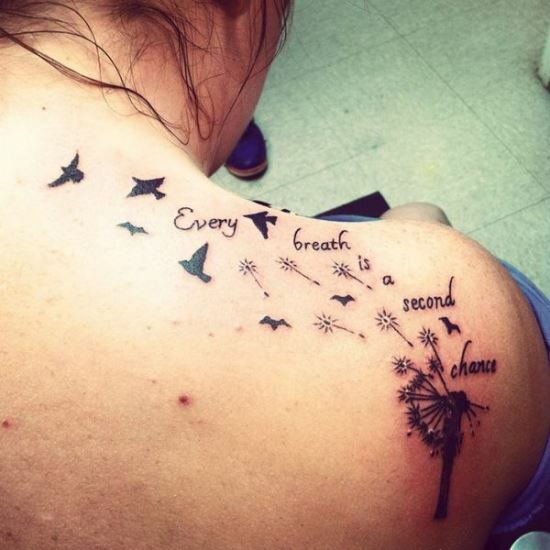 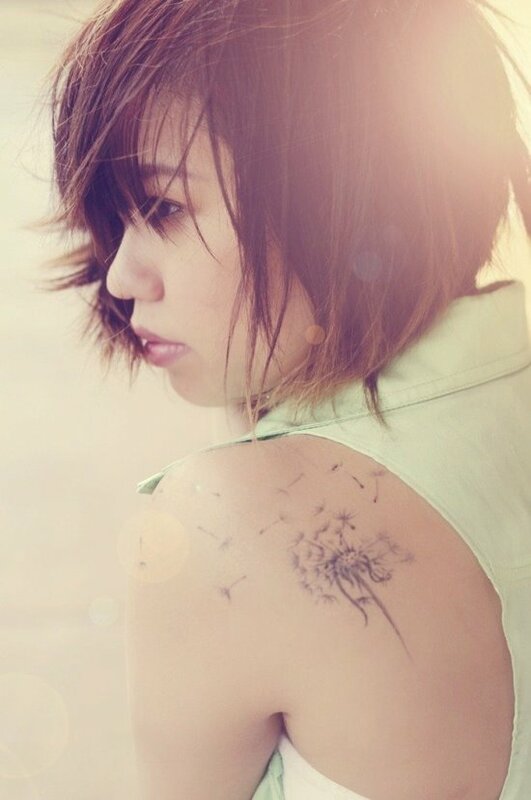 Dandelion tattoos are generally worn over the shoulder but can practically be inked at any place on the body. 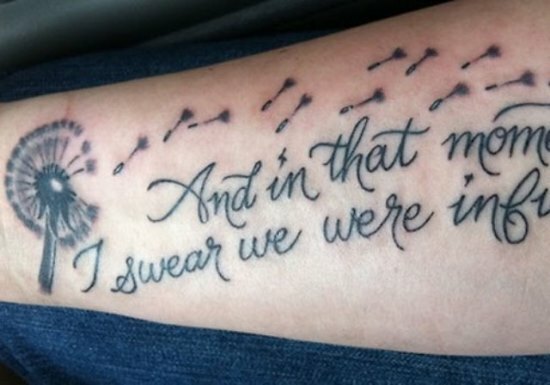 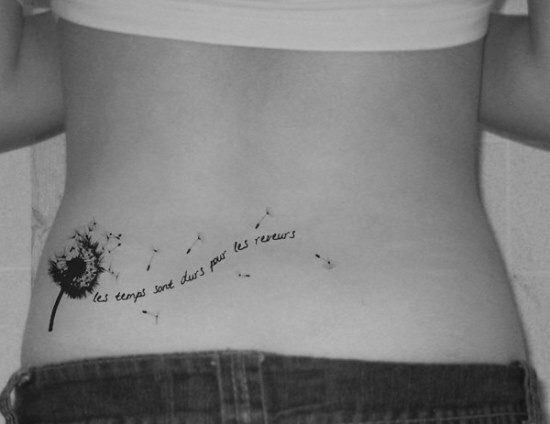 This tattoo is generally done in black ink. 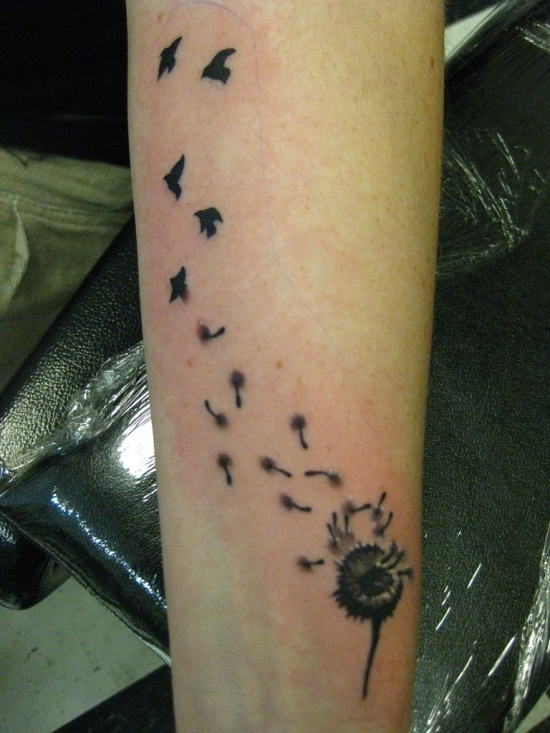 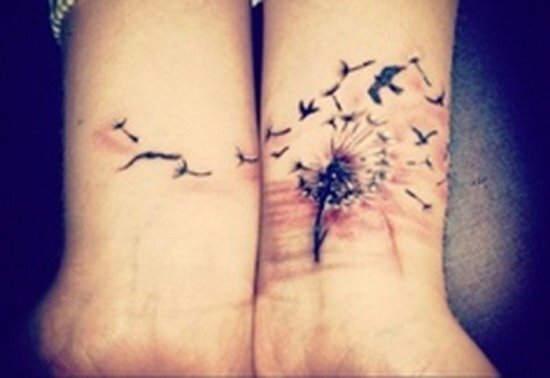 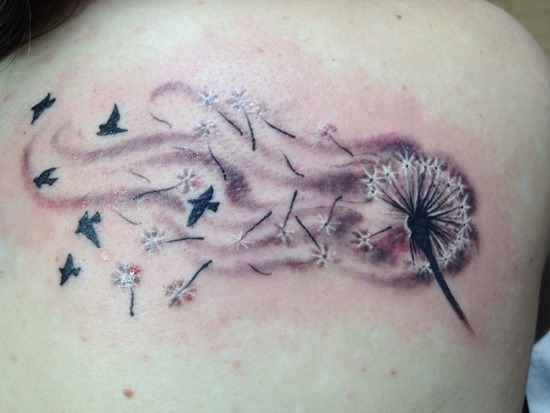 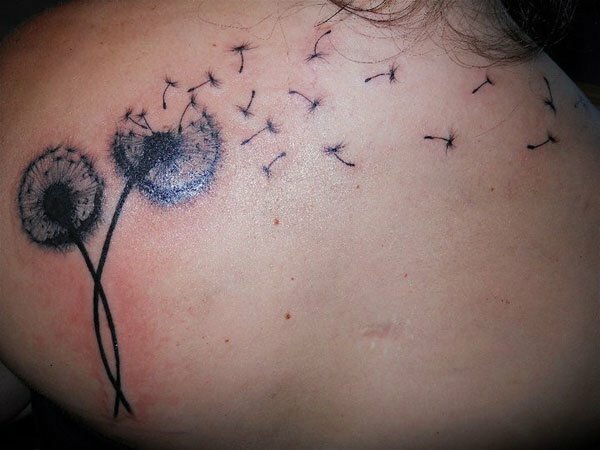 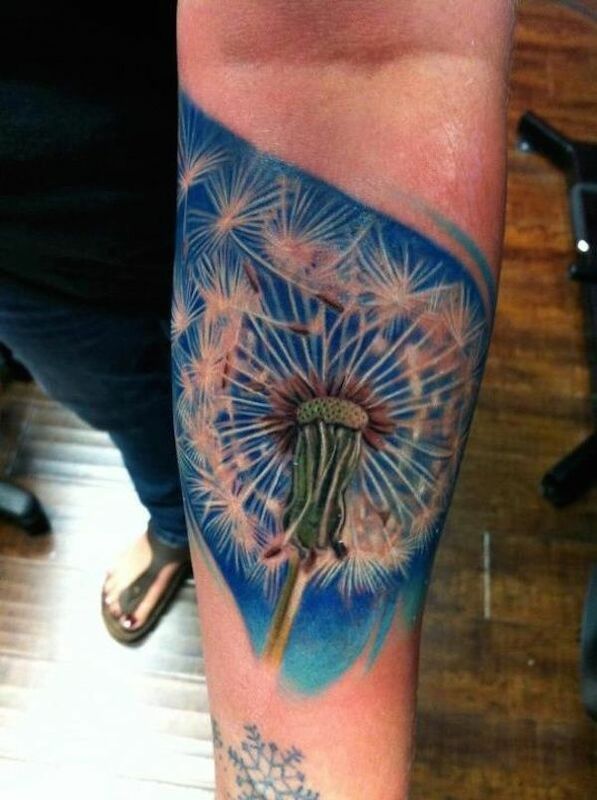 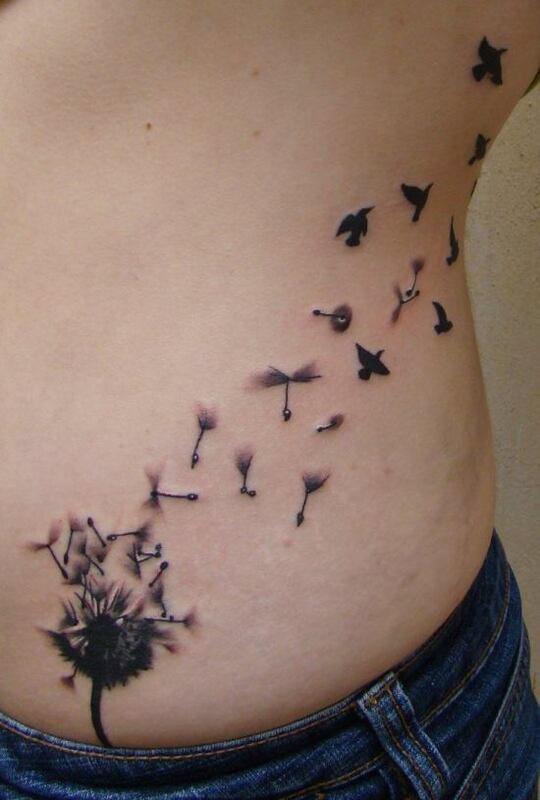 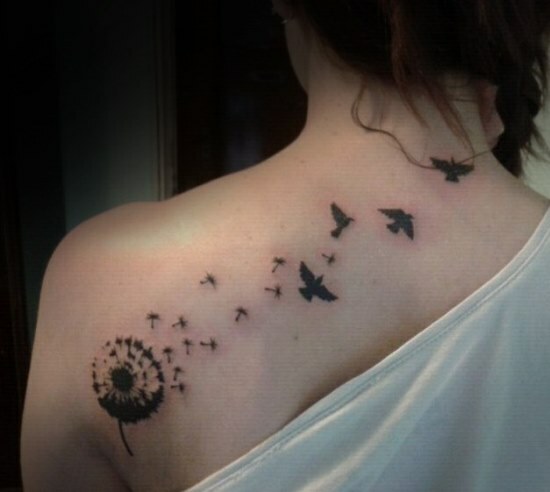 The popular motif for this wild flower is having a dandelion tattooed along with flying seeds. 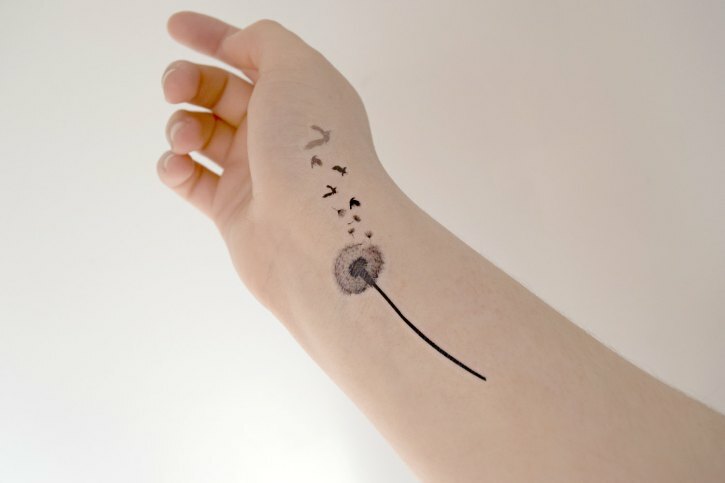 The flying seeds are often times replaced by flying birds, or hearts, etc. 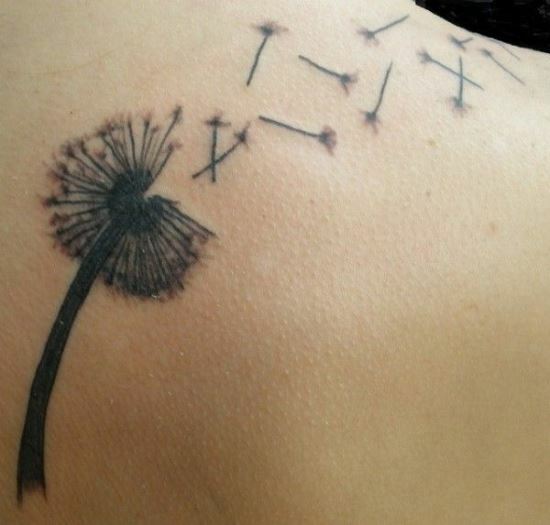 You can also have the entire dandelion plant, all roots and stems together, tattooed on your body. 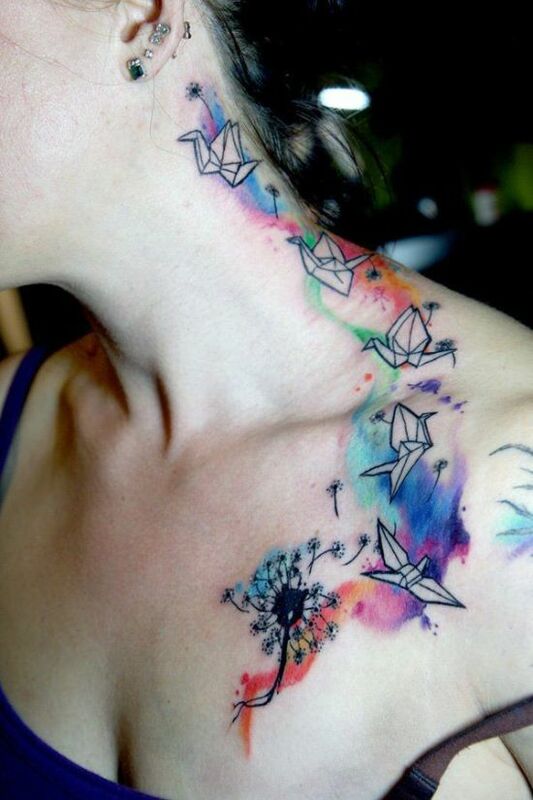 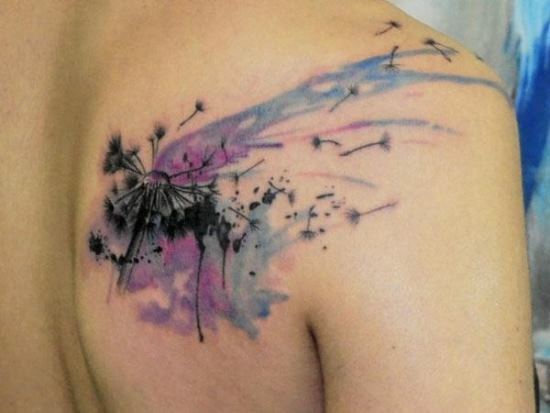 Furthermore, you can add a bit of color to the tattoo by having a shaded background. 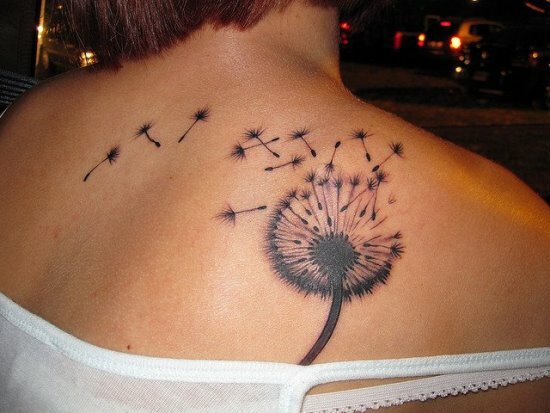 It is said that dandelion when included in the bouquet of flowers of a wedding couple brings good luck to them. 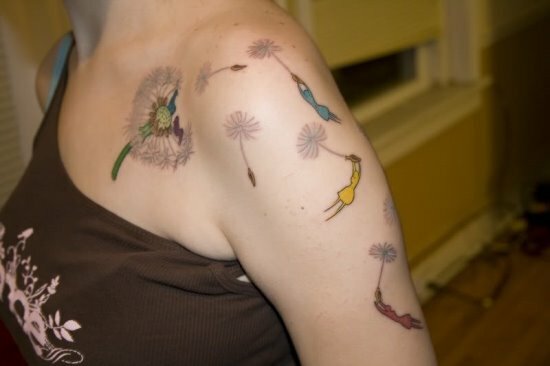 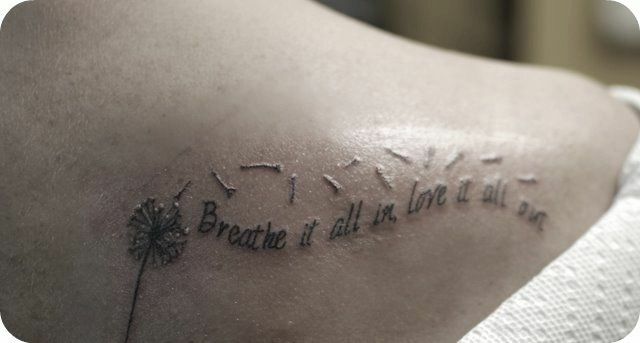 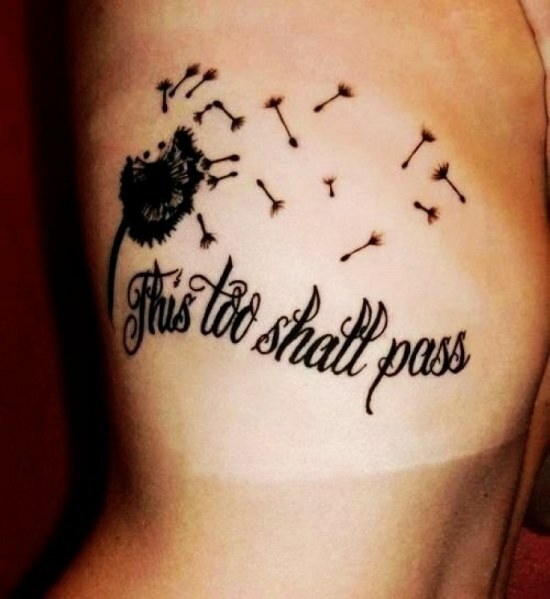 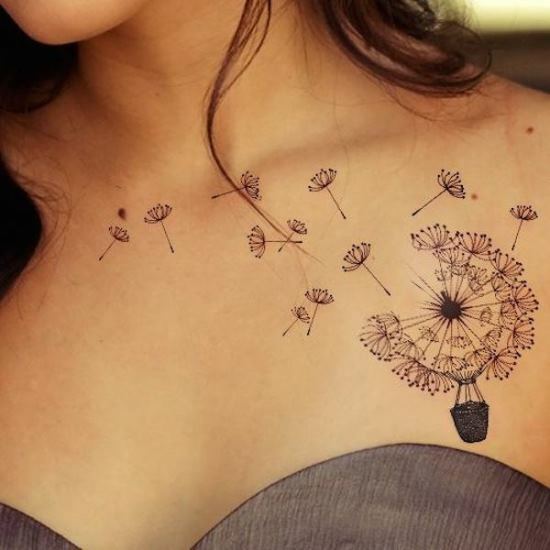 If you are a bride to be or are a newly married, you might want to consider getting a dandelion tattoo inked. 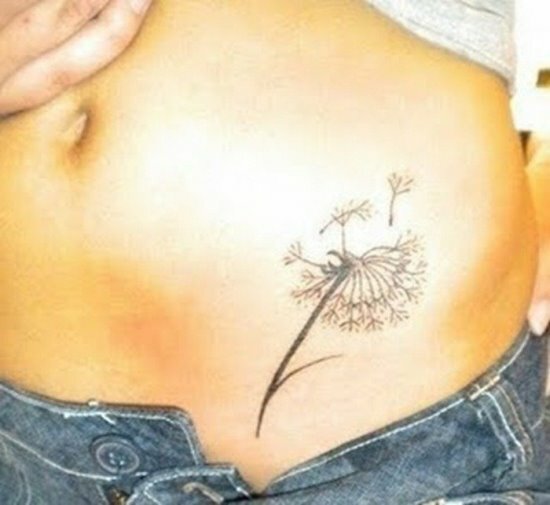 This wild flower can be inked in various different sizes and places on your body. 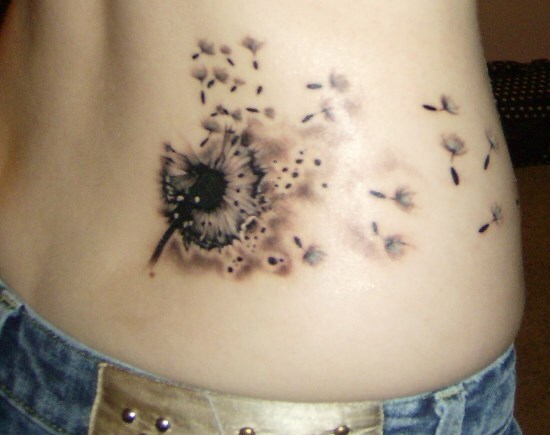 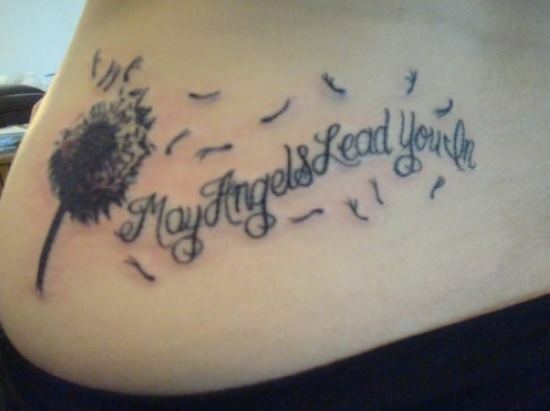 You have a vast variety as far as choosing the tattoo design is considered. You also have many options in terms of where to ink the tattoo. 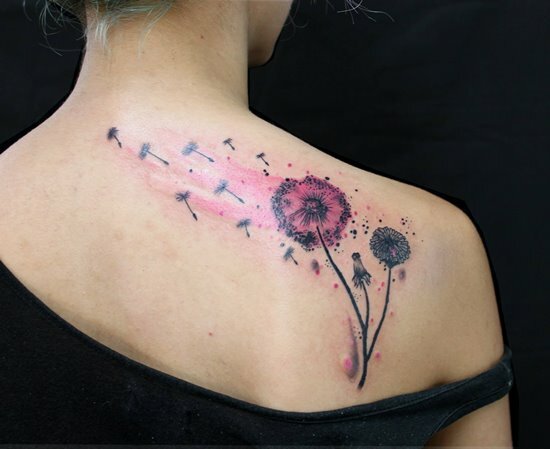 If you really are confused as to what design to choose or where to place the tattoo design, then we are more than happy to help. 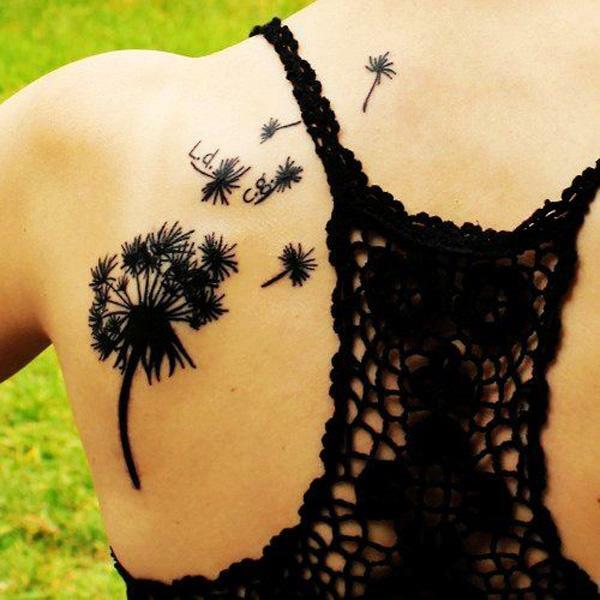 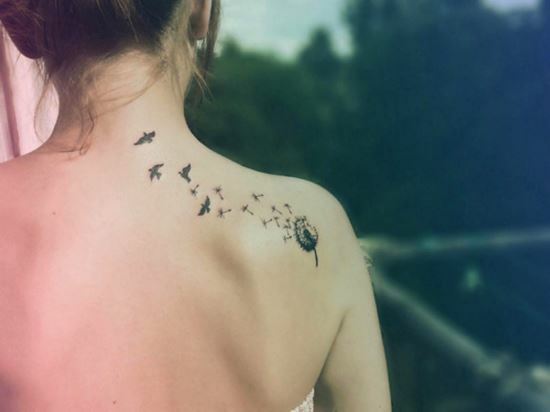 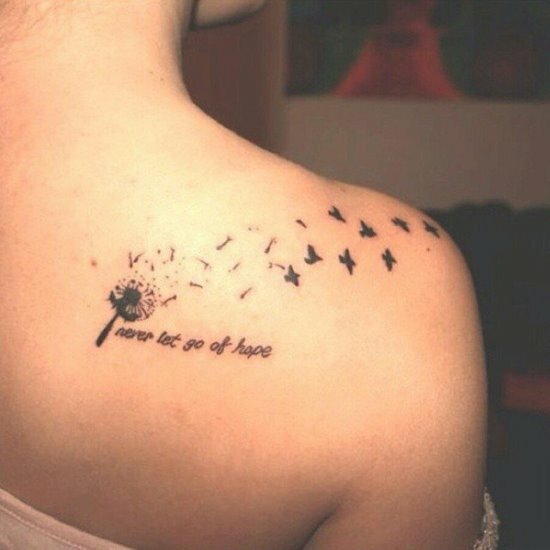 We have gathered here some 55 adorable dandelion tattoo designs for you to sift through and choose from.